This Star of David necklace is made of 925 Sterling Silver and 14 Karat Gold. 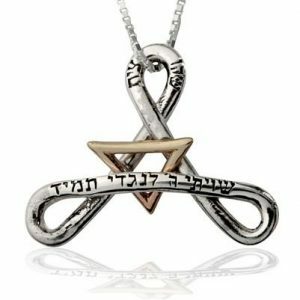 This striking religious symbol is a beautiful display of faith bound to captivate the eye.The Star of David necklace was created by a careful blend of fine metals that brightly shine in contrasting colors. The gold part of this handcrafted Star of David pendant is carved with the most famous Jewish prayer, "Shema Yisrael" (Hear O Israel). This Star of David necklace is made of 925 Sterling Silver and 14 Karat Gold. This striking religious symbol is a beautiful display of faith bound to captivate the eye.The Star of David necklace was created by a careful blend of fine metals that brightly shine in contrasting colors. 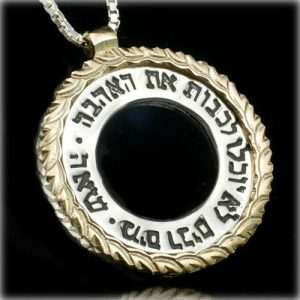 The gold part of this handcrafted Star of David pendant is carved with the most famous Jewish prayer, "Shema Yisrael" (Hear O Israel).The Sterling Silver part is carved with the initials of the blessing of the Kohens from the Biblical verse: "The Lord bless thee and keep thee, The Lord make His face to shine upon thee, and be gracious unto thee: The Lord lift up His countenance upon thee, and give thee peace" (Book of Numbers, 6:24-26). The Blessing is also known as the Priestly blessing, or Birkat Hakohanim or Nesiat Kapayim in Hebrew which means the raising of the hands. What makes it so special is that it can only be recited by Kohanim at the temple.The blessing of the Kohanim, who were the great priests of the Israelites, was recited to Moses on the day when he had finished setting up the sacred tabernacle in the middle of the Israelite camp in the Sinai Desert.The mystical power of the blessing derives from pronouncing the explicit name of G-d which is believed to bring the abundance of G-d's kingdom upon the people of Israel. 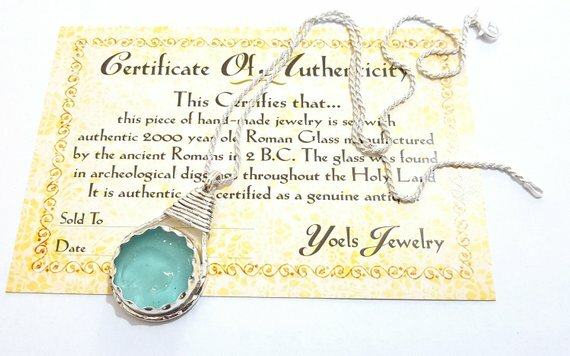 The blessing is also an amulet to ward off evil eye delivered by G-d through the Kohens who were to teach the Israelites the sacred name of G-d on earth. 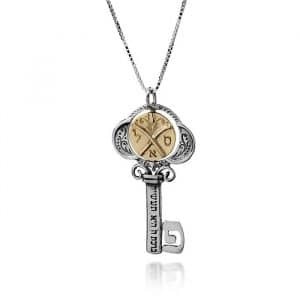 This Star of David necklace is made of 925 Sterling Silver and 14 Karat Gold. This striking religious symbol is a beautiful display of faith bound to captivate the eye.The Star of David necklace was created by a careful blend of fine metals that brightly shine in contrasting colors. The gold part of this handcrafted Star of David pendant is carved with the most famous Jewish prayer, “Shema Yisrael” (Hear O Israel). This Star of David necklace is made of 925 Sterling Silver and 14 Karat Gold. This striking religious symbol is a beautiful display of faith bound to captivate the eye.The Star of David necklace was created by a careful blend of fine metals that brightly shine in contrasting colors. 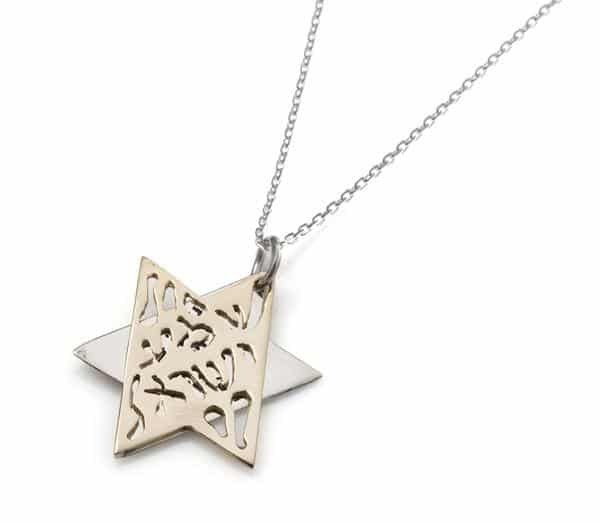 The gold part of this handcrafted Star of David pendant is carved with the most famous Jewish prayer, “Shema Yisrael” (Hear O Israel).The Sterling Silver part is carved with the initials of the blessing of the Kohens from the Biblical verse: “The Lord bless thee and keep thee, The Lord make His face to shine upon thee, and be gracious unto thee: The Lord lift up His countenance upon thee, and give thee peace” (Book of Numbers, 6:24-26). The Blessing is also known as the Priestly blessing, or Birkat Hakohanim or Nesiat Kapayim in Hebrew which means the raising of the hands. What makes it so special is that it can only be recited by Kohanim at the temple.The blessing of the Kohanim, who were the great priests of the Israelites, was recited to Moses on the day when he had finished setting up the sacred tabernacle in the middle of the Israelite camp in the Sinai Desert.The mystical power of the blessing derives from pronouncing the explicit name of G-d which is believed to bring the abundance of G-d’s kingdom upon the people of Israel. 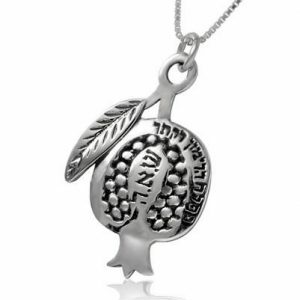 The blessing is also an amulet to ward off evil eye delivered by G-d through the Kohens who were to teach the Israelites the sacred name of G-d on earth.